In addition to 32,000 linear machines sold worldwide, Sodick America would like to introduce to you Sodick’s SL 400G & SL 600G. These new SL machines series consists of Sodick America’s K-SMC™ M4Link Motion Controller and Sm-ART™ software, demonstrating considerable advances in cutting speed, accuracy and surface finish. The linear motor were prepared with optimum flat design and machine castings to be in a single unit to achieve maximum performance. 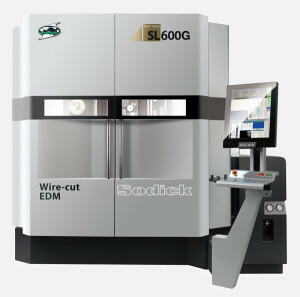 In addition, both machines consist of advance electrode materials and Sodick America’s 4th generation K-SMC™ M4Link which is capable of controlling up to 32 axes. The K-SMC™ M4Link motion controller allows the generator to reduce the number of cuts necessary to achieve the required accuracy and surface finish. Hence, the decrease in time renders financial advantage to Sodick’s customers. SL 400G & SL 600G also consists of Sodick America’s K-SMC™ M4Link (CNC controller) using the standard Windows 7 operating system to an enhanced 19-inch TFT multi touch screen which operates like a tablet. User Interface is developed using Sodick America’s Sm-ART™ software which allows our users to select between traditional screen (2D) and the new tablet-type screen (3D). With this feature, we can guarantee a futuristic easy to navigate interface. For more information regarding our products please visit our products page. 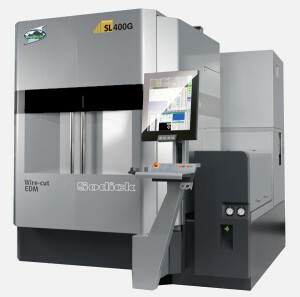 SL400, SL600, Sm-ART, Wire EDM. Bookmark.